Russia and Ukraine have overcome differences regarding Russia’s participation in the modernization of Ukraine’s gas transportation system. This announcement was made by Ukrainian PM Yulia Timoshenko after a phone conversation with her Russian counterpart, Vladimir Putin. “We’ve found out that we are partners in the modernization of the gas transportation system. We consider the issue resolved and are ready to move on,” Timoshenko stated. It was on March 23, 2009, during the international conference in Brussels, that the Ukrainian government, the European Commission, the EBRD, and the European Investment Bank signed a declaration to upgrade Ukraine's pipelines, thus excluding Russia, the country that fills these pipelines with gas, from the process. In protest, Russians left the conference. 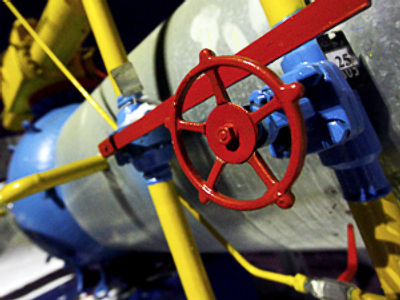 Earlier, Russia expressed interest in, if not privatizing the gas transportation system of Ukraine than, at least, participating in its modernization. In the beginning of 2009, the administration of Ukrainian President Viktor Yushchenko estimated the value of Ukraine’s gas transportation system as high as $25 billion and refuted the idea of selling the system off to foreign and private investors. According to the Brussels declaration, Ukraine agreed to open its local gas market and provide access to independent companies to its gas storage facilities. In turn, the EU promised to loan Ukraine $2.5 billions, which the country may spend to upgrade its gas transportation system. The declaration openly threatened Russia’s Nord Stream and South Stream projects and could made Gazprom dependent upon a gas transit country. 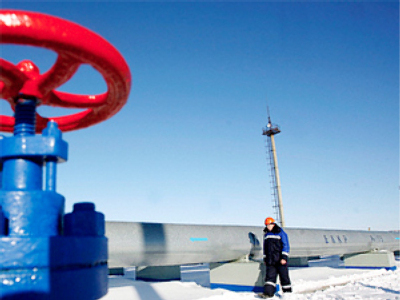 It also endangered Gazprom’s plans to enter the European domestic gas market. The reaction by Moscow about this document was immediate. Russian PM Vladimir Putin declared that Russia might reevaluate its relations with the EU because “if Russia’s interests are going to be ignored then we would have to re-consider the principles of our relations with our European partners”. The Russian PM called the declaration “irresponsible and unprofessional”. Putin reminded EU officials that European business has invested in multiple areas of the Russian economy, i.e. oil, gas, coal, transport and energy systems. He also recalled that Russia buys Europe equipment amounting to $26 billion for the gas industry alone. Moscow also prepared to play the card of its closest European allies, such as Germany and Italy, which are more interested in building the new Nord Stream and South Stream projects that would link their gas transport systems directly with Russian gas, something that would grow more valuable in the years to come. Comparable to the EU, the position of Ukraine, which is on the verge of a national default, became much more complicated. The next day, on March 24, Russian president Dmitry Medvedev publicly announced that Russia would freeze government-to-government consultations with Kiev until “the question of the gas declaration is cleared out”. But according to the Russian PM’s Press Secretary, during their Friday phone conversation, Putin and Timoshenko discussed a possible date for the bilateral governmental consultation that earlier had been postponed. Timoshenko said that they might be held in late April. The earlier promised $5 billion credit to refinance Ukraine’s gas debt to Russia has also been beyond questioning. That is why, despite Timoshenko’s encouraging statements that she has managed to mend the offence she had caused Moscow, this conflict looks like it is far from being resolved and the question of whether it would end with a compromise, or it would be transformed into a gas war to the bitter end, remains open.